So since I first had my students play DragonBox last year, We Want to Know came out with a sequel, DragonBox 2. 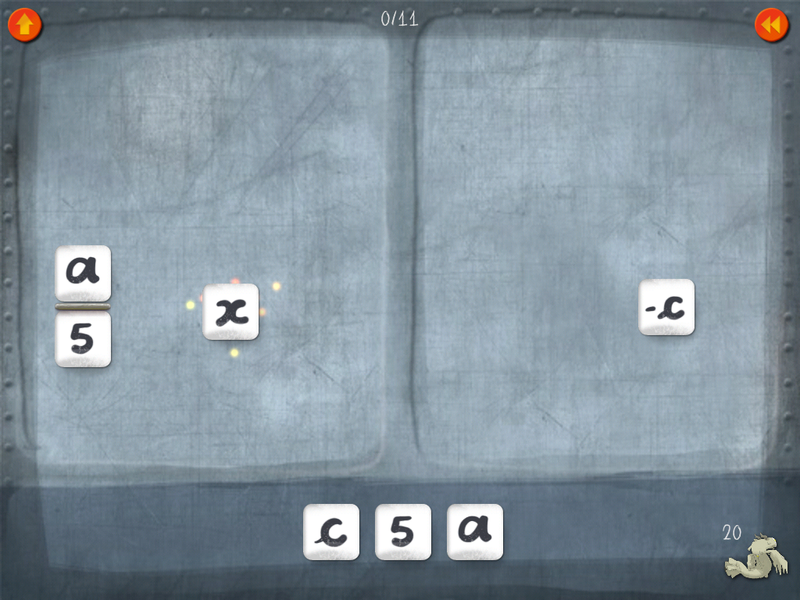 They are now branded as 5+ and 12+, as the original DragonBox is intended to introduce the idea of algebra and solving equations to someone unfamiliar with it, while DragonBox 2 is meant to deepen the equation-solving toolbox of someone already familiar with solving equations, allowing them to deal with more complex equations. There were several students who could solve the first level (one of the hardest in the game), but not the second, which came later. This showed me that there was something about the structure of an equation that wasn’t getting through and that we needed to work on it. 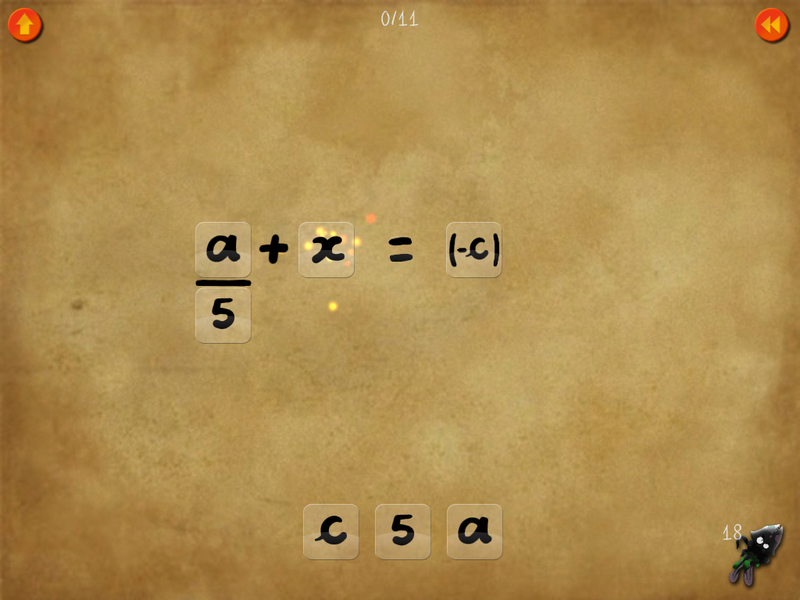 In DragonBox 1, you only really have four abilities: you can combine inverses into 0, you can divide a card by itself to get 1, you can add a card from the deck to the game (one on each side), and you can attach a card from the deck to another (multiplication/division), as long as you do it to every card in the level. In DragonBox 2, you can do new things like flip a card from one side to the other, divide a night version by a day version (leaving negative 1), combine like terms, factor out common terms, and treat complex expressions as single units to multiply/divide by. Those are all good things to do, and someone proficient in algebra should be able to do those things. But I backed away from using it in class because it lacked the why. At the end of the first DragonBox lesson, I compile the notes students took while playing to make a comprehensive list of rules and abilities you have in the game. The one student who played DragonBox2 insisted that, in the game, you can slide a card from one side to the other. No matter how much I pressed him, he didn’t see that the card wasn’t sliding over, it was flipping/inverting. And that’s what I was afraid of by using DragonBox2. These tools are important, but they have to be earned by understanding them. DragonBox2 gives them to you by completing previous levels, not necessarily by understanding how. At the least, in DragonBox 1, because you are stuck with the basics, you have to grapple with where the solutions come from. They can’t magically appear. So while DragonBox2 is rated as 12+, I wouldn’t give it to any student who didn’t already have a firm grasp on the concept of equality. Maybe post-Algebra 1. Or at least not until much later in the year.